I was at F21 with my besties, and they peer pressured me into buying it. Not that I'm complaining... I don't own any mint-colored clothing items, so I am excited about introducing it into my wardrobe. P.S. is mint over? Am I like 2 years late on that train? Story of my personal style-life. Anyway, it's a lovely top and I'm sure you'll be seeing it a lot. Now onto the crazy thing I bought. First off, a little back-story: A few days ago, I was walking to work (I have ten minute walk from my car to my building) and it was freezing and pouring rain outside. I was carrying a couple of bags, trying to stave off the rain and wind with my umbrella, all the while wearing my trusty rainboots (purchased for $20 from UO a few years ago). About halfway to the building, I realized my feet were soaking wet. I got to work and realized that my rainboots (both of them!) were completely split open. The sole had separated from the boot and the boot part had split. Here's the thing. I wore those rainboots A LOT. Since they were plain black, I was able to wear them all day at work on rainy days. So I decided that it would be a good idea to invest in a new pair. A good pair that wouldn't split open. You might be seeing where this is going... I bought these! Do any of you own Hunter rainboots? Are they worth it? Mine are on their way from Zappos and I can still return them if I decide I don't like them. Is anyone else trying to invest in nicer shoes? I'm a total-cheapo, but I would rather have one nice thing than 5 cheap things (a tough lesson learned). I don't, but I WANT them. Would like to see what others think before I invest. Bet you'll have them forever and they'll be in great shape too! I'll let you know how I like them! Okay.. I completely agree with pretty much this entire post. As in, I really should stop buying cheap-o shoes, seeing as they've hurt my feet in recent weeks.. So I think you've inspired me. I've got a ton of shoes, but I can't wear half of them to school because I've got to walk a million ka-jillion miles around campus (literally a million ka-jillion). I don't have those boots but I'm with you on the buying nicer shoes front. I wear black pumps almost everyday for work and I kept buying super cheap pairs from Target and in a few months I'd need a new pair. I recently went to Dillards and invested in a nice pair (read: lots of $$). But they have held up so much better and I don't plan on tho throwing them out anytime soon! I'm working on purging shoes as they become worn out and only keeping the high quality ones. Let us know how you like the new rain boots! Exactly! It honestly works out because I don't love shopping - I would rather just have good basics (like black pumps) and be done with it! I have heard nothing but great things about Hunter and I do want to invest in a pair. I have cheapy Falls Creek rainboots I got on clearance from Meijer. But, I, too, try to invest in better shoes. I do own Uggs vs. Tuggs (Target version), etc. But the price is still a sticker shock to me. I can't wait to hear how you like them! Tuggs - love it! I'm hoping the Hunter boots will be worth the investment - I hate spending money and definitely would never have done it if my boots hadn't exploded! Hunter boots are my dream :) You are going to look so great in them. Post lots of pictures! Oh, you know I will post pictures! 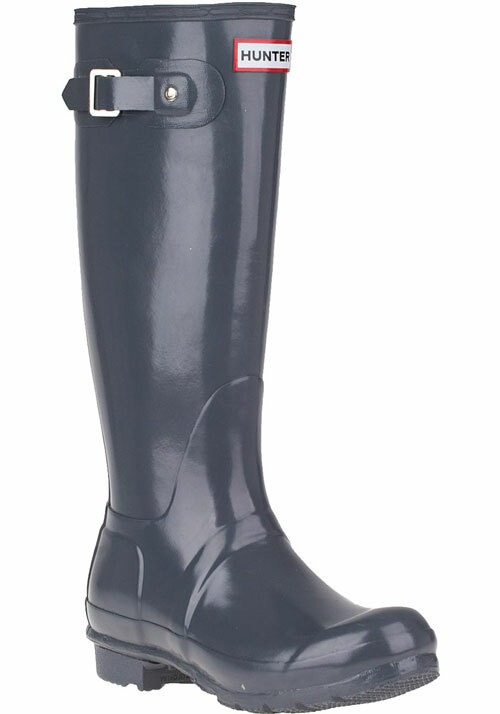 I dont own Hunter rain boots but heard they last forever & its a classic style also - very elegant. I dont buy cheapo shoes anymore as by the time they break in, my feet hurt & there's a reason they are cheap as no arch support & you cant repair them as bad soles & basically spend more $ buying more cheap shoes that 2 expensive pairs that last for years that can be re-soled. Enjoy your purchases - as for mint green, its always a spring color & looks beachy in the summer. No arch support - exactly! I was spending silly amounts of money on cushioning shoe inserts - why I didn't just go for better shoes in the first place, I have no idea. I'm hoping the shoes I have been investing in will last me a really long time! this is an interesting idea! i like the idea of taking a look at what i've spent my money on over a month. better for holding yourself accountable. Posting my budget every month really has been helpful - it definitely holds me accountable. Warm, comfy feet is a good thing - Hopefully worth the money! And I am SO with you on the Target sales... sooooo hard to resist! You have your shopping priorities right! Spend more on footwear, less on clothing. Good investment strategy. I love your Hunter boots and that mint green is perfect for spring. Thanks Alison! 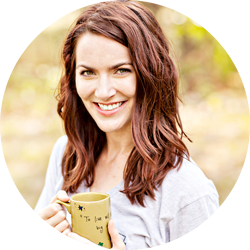 Budgeting can be hard, but it's definitely given me a better perspective on what to spend money on! It's so good to know what works and doesn't work for you. For example, I liked those cute sweaters with animals on them that everyone was wearing, but I knew I would never wear them (I work on a college campus and try not to look young-ish). That's why the Hunters were ok for me - I wore my old rainboots a lot! P.S. I am not convinced you live in rainland - I am still shocked in never rained in Portland the week we were there! Uh-Oh... I can definitely see that happening! First of all, I saw the title of this post and realized that my credit card bill was due today. Thanks for the reminder! Second of all, I am going to try and not spend anything (or as much) this month. It's been out of control lately. Third thing... My friend ordered 7 or 8 different pair of rain boots before ending up with the Hunters. And she loves them. I am so glad your friend liked the Hunter's best. I have yet to actually test them out, but I am hoping I will be happy with them! Ok, did you jump into my brain and write this post? AND. I just ordered my first pair of Hunters this weekend! They were my tax return splurge. I haven't received mine either but I'm so excited! Your boots are definitely worth the investment. I'm not really there yet with shoes, but I am starting to make myself pay for quality dress pants. I'm really tired of everything shrinking, so I'm starting to finally invest in some better ones. Haha, hopefully we are not out, Inge! Spending a little more on quality items is hard, but hopefully worth it! I'm with you on the dress pants - I've started to notice that there really is a difference in the way dress pants from Old Navy look/fit in comparison to somewhere like Banana Republic. Then it all comes down to finding things on sale! Sigh. We didn't get any snow this year :( But, I guess the fact that I can wear Hunters is a small consolation! I own the original red Hunters (not the cool, glossy ones) I love mine! BUT, I am shorter and if I am not careful, they can dig into the back of my knees from time to time. They usually don't bother me enough to buy a different pair and I really do love them! Oh, good to know. I am pretty tall so I probably won't have that problem, but I am SO glad to know that you like yours! Gah, mint jeans are adorable! My cousin was wearing a pair with just a t-shirt yesterday and she looked so fabulous! Haha, good! I'm not really aware of what's in/out, but I know I like mint! Gah, that's smart! I did notice the kid sizes were a lot cheaper! I think so too, Carisa! Especially knowing you're not going to really change sizes as an adult... hopefully! worth it. if you wear them a lot, they are definitely worth not getting to work with soaking wet feet. plus, they are so cute!!! i don't own a pair, but i would love to! I did wear my old rain boots a lot... ever since I've gotten my Hunter's, I've been hoping it will rain! You are so right - it IS a lot for shoes! I'm hoping they are better than my $30 pair that literally fell apart (and left me with soggy feet!). I'm trying to go for quality over quantity when it comes to shoes... it means I have a lot fewer pairs, but I my feet don't hurt and my shoes don't fall apart. Hopefully I will feel like the investment was worth it! I don't own any hunter boots since I wear snow boots more than rain boots here in utah, but I've heard they're worth it! I've started doing the same thing as you, no more cheap target and knock off shoes. I'm willing to spend more on a pair that will last me more than a year. Exactly! All those cheap shoes add up, and I would much rather have that money to spend on something nice! Just came across your blog post - I bought my Hunters in the summer of 2009 (so it's been 5 years!!). To this day - they're still in pretty much perfect condition. I wear heavily on the heels of all my shoes so I can start to see where I drag my feet when walking. But no leaks, no cracks - I put these boots through some pretty aggressive wearing over the years (lots and lots of long walks) so I'm pretty impressed with how they held up. I'm pretty sure if I don't manage to wear through the entire heel - they will last forever. I'm planning to get new ones (not because I need them ... just because I want to) maybe next year or the year after. Can't wait ! !